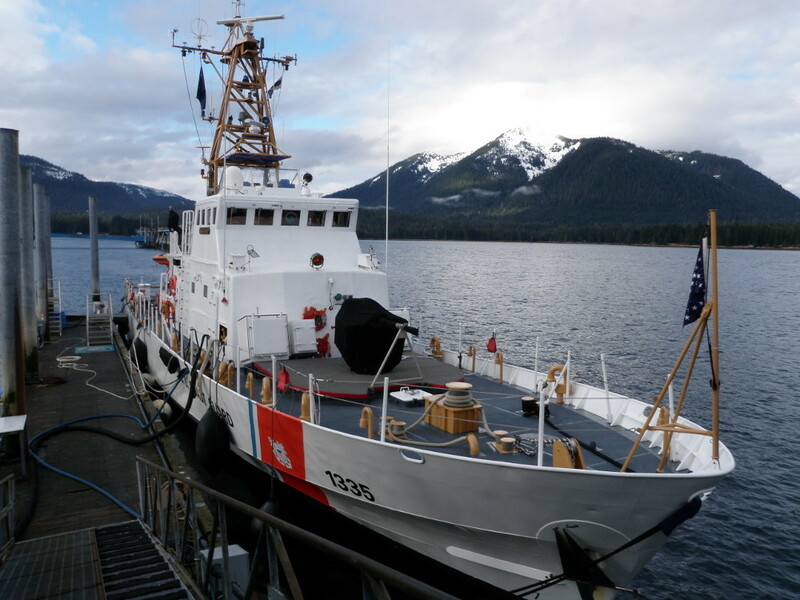 Six new U.S. Coast Guard fast response cutters will be stationed in Alaska and two new patrol boats will be coming to the state, the Coast Guard announced Wednesday. The fast response cutters will replace some smaller island class cutters and be stationed in Kodiak, Seward, Sitka and Ketchikan. Coast Guard also will station two patrol boats in Juneau and Petersburg. Sitka’s cutter will be a new addition while the others will be replacements. The new fast response cutters will be 44 feet longer than the existing ones, which means some communities will have to build up infrastructure to support docking them. Coast Guard made the decision to put the eight new vessels in Alaska based on their own in-depth studies. Alaska’s congressional delegation has been advocating for the move. Alaska Sen. Dan Sullivan is chairman of the U.S. Senate Commerce Subcommittee on Oceans, Atmosphere, Fisheries and Coast Guard. The subcommittee fought to keep vessels in the smaller towns. An earlier Coast Guard plan called to downsize Alaska’s cutters from seven to six, homeporting them in just a few communities. Sullivan said he worked closely with local mayors over the past three years to include more coverage area. But the time was right during the confirmation hearings of Vice Adm. Karl Schultz to be commandant of the Coast Guard. As the committee chairman, Sullivan was looking for definitive answers from Schultz. Fifteen minutes before the deadline Sullivan set, he said the committee received the letter from the current U.S. Coast Commandant, Paul Zukunft. The letter described where the eight new ships would be stationed. Sullivan credits Alaska’s mayors helping to advocate for keeping all the ships spread out in the state. Petersburg’s new 87-foot patrol boat will be smaller than the current island-class cutter Anacapa and will lose three crew members. The mission remain the same: Crew members will conduct commercial fishery law enforcement patrols, search-and-rescue and life-saving missions. “That’s not exactly the same size as an island class cutter but it’s essentially 16 to 13 personnel, so it’s close,” Sullivan said. The U.S. Coast Guard does not expect there to be any gap in time. The old vessels will be decommissioned after the new ones arrive. The process is expected to take about five years, except Ketchikan’s new cutters, which arrived last year.